Category IIF characterization implies that the lesion in question is probably benign, but some uncertainty exists because of the complex features described above. Thus, Category IIF cysts should be followed to make sure that the lesion shows stability over time. 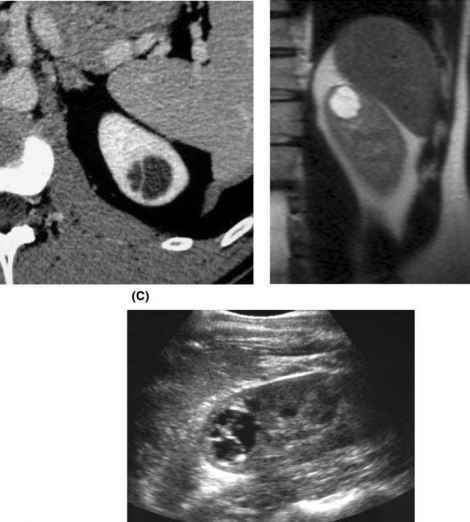 The finding of two malignancies in 42 (5%) followed-up renal cystic masses in Bosniak's series should not be cause for alarm. As previously stated, cystic renal cell carcinomas are much less aggressive tumors than solid malignant renal neoplasms, obviating the need for urgent intervention (3,39,40). 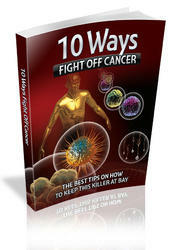 They have a better prognosis and less potential for metastasis, so that a period of watchful waiting in these cases is unlikely to compromise the patient's ultimate well-being. Figure 16 (A) A 30-year-old male with urinary tract infection and incidental cyst with slightly thickened septa. Bosniak Category IIF cyst. (B) Coronal T2-weighted MR scan shows minimal septation and slight wall irregularity. (C) Ultrasound examination shows more septa with associated nodular thickening appearing significantly more complex than the CT or MR. Lesion has remained stable for over a year of follow-up imaging. Abbreviations: CT, computed tomography; MR, magnetic resonance. Figure 17 Bosniak Category IIF cyst. (A) An 87-year-old male with gross hematuria and aortic valvular disease. CT shows multiple simple cysts and one large homogeneous cyst with no internal enhancement and a uniformly thick wall. (B) The corresponding ultrasound examination performed the same day shows a striking internal architecture compared to the CT. Abbreviation: CT, computed tomography. follow-up with MR might be considered for extended follow-up in these patients, as well as in those with renal insufficiency. One pitfall in the substitution of MR for CT, however, is that while findings are often equivalent (Fig. 16), in some cases MR shows significantly greater internal complexity than does CT. Israel and Bosniak compared 71 cystic renal masses that were evaluated by CT and MR within one year of each other, with pathologic correlation in 23 cases (41). The findings were similar in 54 (76%) with the remaining 24% being discordant. MR showed more septa in 8 (11%), more wall/septal thickness in 5 (7%), and a single mass showed more of both. Four lesions whose enhancement was equivocal on CT showed no enhancement on MR with subtraction techniques. Overall, MR upgraded seven lesions, from Category II to IIF (n = 2), IIF to III (n = 3), and III to IV (n = 2). The most significant upgrade is from IIF to III because this change in categorization would mean that a lesion would be resected instead of being followed. One of the three IIF-III upgraded cases was a young patient with a large lesion that that proved to be a hemorrhagic cyst at operation. The other two patients were elderly. One refused surgery, and the lesion has remained stable after one year of observation. The other, who also refused surgery, has shown progression of findings highly suggestive of malignancy. 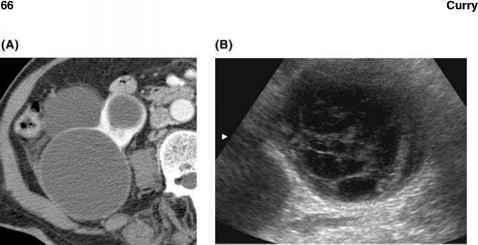 Ultrasound frequently shows far more internal complexity to cystic renal masses (Figs. 16 and 17) than CT and is most useful when it shows that a lesion is anechoic (Fig. 14). If a follow-up strategy is based on the CT findings, periodic sonographic examinations may be helpful to avoid the expense and radiation that dedicated renal CT entails. Replication of similar imaging planes can be difficult, however.